It is with great sadness that we announce Ernie’s passing. Survived by his loving wife of 58 years Isabel, and daughter Wendy; his siblings Alfred, Allen, Dan, Peggy, Evelyn, Alenda, Adeline and Christene. Ernie was predeceased by his parents Ralph and Lena Schaeffer, and by his siblings Harold, Charlie, Rudolph and Marilyn. 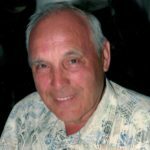 Born in Assineau, Alberta on Dec 26,1932, Ernie died April 19, 2018 in Royal Inland Hospital in Kamloops, B.C. 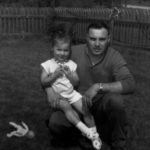 Ernie grew up working on the family farm raising mink and commercial fishing. In his late teens he started his first job, employed by Northern Alberta Railway, then on to cutting pulp wood and shipping. As a young man with a few dollars in his pocket and a Prefect car he set out to make his fortune in B.C. In 1960 Ernie decided to settle down, marrying Isabel and started a family. Wendy was born in1961, his pride and joy. He started his own logging contract company, Ernest Schaeffer Logging Ltd. We left for Lillooet in 1967 due to the flooding of the Arrow Lakes, a year later moving to Kamloops. He continued his logging career with Tolko and Weyerhauser until his much earned retirement. His love of travel took us to many countries, his favorite was New Zealand. Summers spent camping, fishing driving the back roads, looking for lost lakes and huckleberry patches. Winter; ice fishing and skidooing. Ernie was a man that saw the best in everybody; he was patient and loyal to his friends and welcoming to all. He loved his family, as we loved him, giving everything he had to give to them. So when you see a loaded logging truck barreling down a bush road, a fisherman in a canoe, or a motorhome at a secluded lake, remember Ernie with a smile. We would like to especially thank Eric Wenzel, his long time best friend, like a brother, since the 1950’s and John Winsor, his fishing hunting and all around good friend. Also, Norm Ahlstrom his friend of many years on Orcrest Drive. Your support has been greatly appreciated and won’t be forgotten. Special thanks to Betty and Vera. Wendy, I was very sorry to see that your dad has passed away. You must be heartbroken. I hope that memories of happier times will help you grieve and heal. Take care. My condolences for your deep loss. Ernie was a very special soul and will be missed by many. I have many fond memories. Wishing you strength at this most difficult time.